Today I have the pleasure of being the guest of Art Taylor and his First Two Pages blog. I discuss my goals as a writer for the opening pages of “Moe’s Seafood House,” published in Black Cat Mystery Magazine #4. I hope you’ll check it out! Today I have the pleasure of hosting my friend and fellow Mindful Writer, Linda Schmitmeyer. Linda’s newly published memoir, Rambler, is a compelling and touching read about the impact of mental illness on a family. “A family pushes through the fog of mental illness” is a hint of what’s to come in this story of challenge, love, fear, and patience. Her appearance here is timely–October 7-13 is Mental Illness Awareness Week. Linda’s Q&A below was enlightening to me, and I hope to you as well. You can purchase Rambler here. What is the origin of the title, Rambler? Linda: My husband, Steve, has always been a car guy, but after he was diagnosed with a mental illness, his enthusiasm for these cheap, boxy sedans was excessive. During the acute stage of his illness—before he was properly medicated—he acquired almost a dozen of these 1950s- ‘60-era automobiles. Most didn’t run, but he used them as parts cars to keep a couple other Ramblers running. There is a more ominous reason for choosing the title Rambler, though. When Steve’s mania flared and his thinking was impaired, he’d slip away in his Rambler for several days without telling anyone he was leaving or where he was going. This was by far the most terrifying aspect of his illness because his leave-taking occurred when his mind was unstable and his judgment most impaired. You wrote a personal newspaper column for many years. How did that experience affect your approach to writing Rambler? Linda: I wrote a biweekly column for more than a decade. In it I shared aspects of my everyday life: raising children at a time that didn’t align neatly with my 1950s childhood, the idiosyncratic behaviors of my car-centric husband, and the poignancy of watching aging parents slip slowly from life. I wrote more than two hundred columns, many through the acute stage of Steve’s illness, but I never mentioned his illness. Instead, I referred indirectly to it by writing about his obsessive behaviors. In one I complained light-heartedly about the score of Rambler hubcaps Steve nailed to the perimeter of our garage, in another about all the cheap VO5 shampoo bottles he bought at the Dollar Store. Writing a regular column allowed me to vent my frustrations about the many challenges I faced. As a writer, though, penning a newspaper column helped me develop the ability to share a personal story to which readers could relate. While no reader may be dealing with a spouse who nails Rambler hubcaps to a garage, there are many who can identify with the excessive nature of their husbands’ hobbies. Although “Rambler” is about living with my husband’s mental illness, my hope is that it will speak to the many who live with life-altering illnesses. What was the most difficult part of writing it? The easiest? Linda: It was extremely difficult to depict a fair and honest telling of such an emotionally charged period of our lives. It took many years for me to achieve the perspective necessary to share our family’s story. After the tumultuous decade in which Steve’s mental health problems surfaced and resettled into a manageable routine, I was exhausted and angry. I needed time to process the various aspects of what happened. That includes appreciating Steve’s struggle to regain the life he’d lost; giving voice to the support of friends and family, even those who steadfastly denied he had an illness; realizing the role Steve’s and my upbringing played in dealing with his illness; and understanding how intuitively I learned to respond to Steve’s manic, depressive, and psychotic episodes. I wanted Rambler to show what really happens to a family when a loved one has a mental illness. That, by far, was the most challenging aspect of writing Rambler. There really wasn’t anything easy about writing my memoir, except the Epilogue. It’s about a bicycle trip Steve and I took from Pittsburgh to Washington, D.C., more than a dozen years after his mood stabilized. It was in celebration of our 40th wedding anniversary. Every chapter in Rambler took months, sometimes even years, to write. But I wrote the Epilogue in a week, and had fun doing it. What kind of self-care did you practice (and/or wished you had practiced) during the experiences of the book, and while writing about them? Linda: For me, self-care came in the form of writing. Through the acute stage of Steve’s illness, I frequently turned to late-night journaling, which allowed me let go of the day’s drama. I also learned to walk my angst away—on my lunch hour at work or after the kids went to bed at night. It was a way of dispelling the pent-up anger that built throughout the day. Mostly, though, I turned to my sister for support. We talked almost daily by phone, and together we worked to understand what was happening and find effective ways to deal with the baffling challenges that stemmed from Steve’s illness. Throughout the years of dealing with the fallout of a mental illness, my sister always reminded me that to be an effective caregiver, I must take care of myself. I wish I better understood that going into this experience, because it’s true. What is the takeaway you hope readers will understand or learn after reading Rambler? Linda: There are several takeaways from reading Rambler; foremost is that severe mental illness is treatable. With good medical care, the love and support of family and friends, and the grit and determination of the people involved—the afflicted as well as the caregivers—people with severe mental illness can go on to live happy, productive (albeit changed) lives. Another important point in Rambler, one essential for anyone caring for a loved one with a mental illness, is to remain open to the experience. In the early stages of Steve’s illness, I viewed what was happening as a weakness in his character. Nothing could be further from the truth. I am an educator and naturally sought opportunities to learn more about what was happening. I attended workshops and support groups sponsored by the National Alliance on Mental Illness and went with Steve to many of his psychiatrist appointments. A mental illness diagnosis involves a steep learning curve, one that took years for me to work through and a lifetime to really understand. 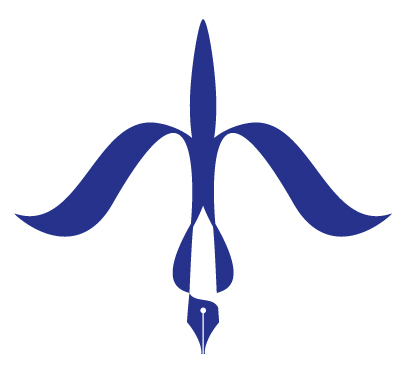 inda K. Schmitmeyer is a freelance writer and editor and adjunct university instructor. Formerly a high school English teacher, beat reporter, features editor, and public relations professional, she wrote a newspaper column for years about the everyday adventures of parenting with her car-centric husband, Steve. Now she blogs about her experience with caring for a husband with a mental illness when her children were young at www.lindaschmitmeyer.com. She and Steve live Butler County, Pennsylvania; they have three adult children. Is there any better friend to crime writers than Hank Phillippi Ryan? Writer, reporter, blogger, her generosity is legendary. Today, I’m happy to be the guest of Hank and the other wonderful authors at the Jungle Red Writers blog. It’s a place where everyone who is anyone in the crime writing world ends up, as a reader, as a guest, as a commentor. I discuss the many things that frighten me. Please pop over to read about Some of All My Fears. Some of those fears are about going Into the Woods…. No, not in the style of Edie Sedgewick or Nico (for you music lovers), but I am very pleased to be today’s guest at the Femme Fatales blog. The Femme Fatales are a dozen or so “ferociously talented women dedicated to the fine art of crime fiction.” My pal Hank Phillippi Ryan arranged my visit to talk about PBS’ Great American Read–and to give away a copy of the Into The Woods anthology. Please pop over to the Femmes and comment on Reading Means Never Having to Say You’re Sorry! I am pleased to be the guest of Lois Hoffman, aka the Happy Self-Publisher, today to discuss writing routines. Check out Writing in Increments. Today, I am answering questions about editing, working on anthologies, writing, my writing, and what I like to read on vacation at the Writers Who Kill blog. The Writers Who Kill are a group of mystery authors who post each day. Their Welcome Wednesday spot presents a Q&A to guest authors, agents, and editors. I’m pleased to be their guest today. I am delighted to be today’s “Ask the Editor” guest at the Wicked Cozy Authors blog. My post is called The Language of Editing. In the post, I discuss types of editors and some helpful terms writers should know when seeking or working with an independent editor. Please stop by! Edith Maxwell writes the Local Food Mystery series. As Tace Baker, she writes the Speaking of Mystery series. I began this final month of 2013 by driving to the foothills of the Blue Ridge Mountains, to begin a two-week residency at the Virginia Center for the Creative Arts. 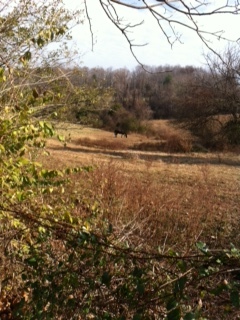 VCCA is a year round working artist colony that provides work time and space for writers, visual artists, and musicians. Resident artists, called Fellows, are granted a private studio, private bedrooms, meals, and the camaraderie of two dozen other Fellows who have also rearranged their home, work, and family lives to devote a few weeks to creating their art. This was my second time as a Fellow. I chronicled my first experience at my blog here in posts called Postcards from Writing Camp, Part I and Part 2. My first residency was nearly two years ago. I arrived with no clear idea of what to expect. 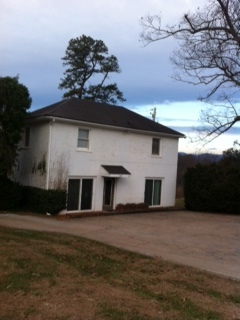 I spent my two weeks there writing in a converted chicken coop, which I fondly called The Ark. I arrived with an idea for a novel, but nothing written. I left with a lot of pages written, and a vow to return. This time, as a veteran, I had a better idea of what to expect. I packed a favorite pillow, more shoes, my own big cushy bath towel, and a coffee maker. Every writing experience teaches me something new. This one taught me, among other things, I needed access 24/7 to a coffee maker. The reason for the coffee is, when you are charged with doing nothing but writing 24/7, you don’t have to adhere to a 9:00 to 5:00 schedule. Although I am self-employed and work at home (sometimes in my pajamas), I stick to a schedule. This, I have learned as an adult, is how one successfully makes mortgage payments. But at an artist colony, the schedule went kaput. The three meals in the dining room grounded me, sure, but my studio was in a self-contained cottage: two bedrooms, two studios, a shared bath. The cottage is separate from the converted barn where the other studios are situated, past the fields and the two permanent resident horses. I was a little sad to be separated from the barn area, but the cottage had perks. I could wake up in the middle of the night in the upstairs bedroom and, quietly so I didn’t wake my cottage mate, sneak downstairs at 3:00 a.m., or 5:00 a.m., or any other a.m., and write in my studio. After about three days, it was bliss. Why after three days? Well, I had a little problem at first. I had the opportunity to write about it in a guest post at Jordan Rosenfeld’s blog. Panic at the Artist Colony exposes a side many writers share, but don’t often discuss: feeling like a fraud. Most of the time, I’m relatively confident of what I’m doing and where I’m going as a writer, but from time to time, I’m not. This time, the uncertainty hit like a truck. Thank you to Jordan for generously allowing me the space to write about overcoming the fraud feeling, and thank you to the writers who commented at the blog or emailed me personally about your own experiences. We are not alone. 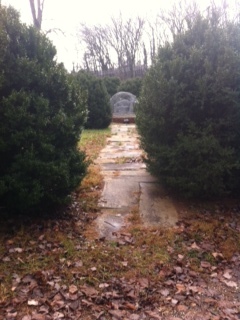 Even in a private studio, at an artist colony in the foothills of the Blue Ridge Mountains, writers are a community. In keeping with this theme, I returned to Delaware to the wonderful news that a collection of work created during the Delaware Division of the Arts’ 2012 Cape Henlopen Retreat is now in print! 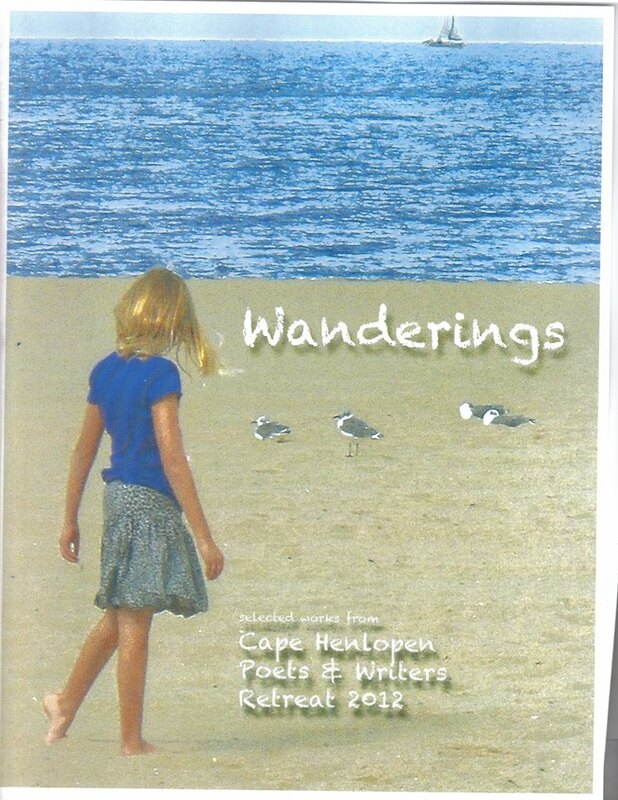 Thanks to the spectacular editorial team of Phil Linz, Maria Masington, and Beth Evans, the collection of work by 8 poets and 7 prose writers, plus introductions by our retreat mentors JoAnn Balingit and Alice Elliot Dark, was gathered and became Wanderings: Cape Henlopen 2012. Note: November is a month for giving thanks. I have been the fortunate recipient of of writing grants and fellowships, and for this, I am grateful. Today, I am happy to welcome another writing grant recipient, Gigi Pandian, as she discusses what can make a writer thankful in November.